When I was a teenager, my Mom went through a garbanzo (also called chickpeas or ceci beans) phase where they showed repeatedly up in our salads and main dishes – even as flour in bread. (My Mom was way ahead of her time – by 25 years or so). I checked with my sister, Margaret, who also remembers the time when we had garbanzos coming out of our ears. She admitted though that they are now her favorite bean and she puts them in everything she can, so I guess the apple doesn’t fall far from the tree. I didn’t appreciate my Mom’s creativity at the time, especially since I wasn’t a garbanzo fan as a kid. I am a huge fan now though (same apple tree, I guess). 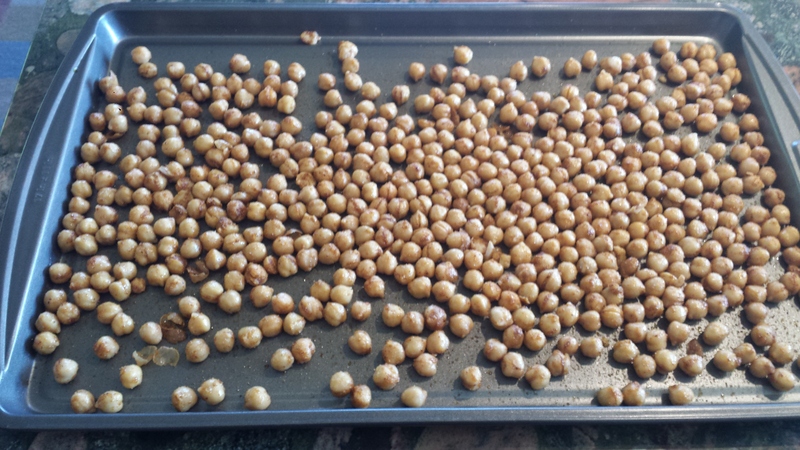 I called my Mom to see what she had to say on the subject and she was about to start some garbanzo sprouts which nutritionally speaking is like garbanzos on steroids (increased vitamin content among a host of other benefits). So there you go. At 86, Mom is still way ahead of everyone else! 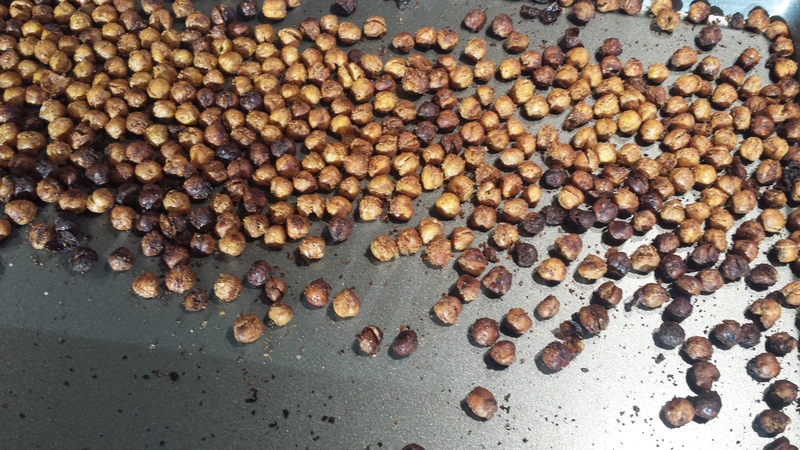 Shameless PlugTIP: Spicy Roasted Chickpeas are particularly delicious when paired with a glass of red wine. I’m enjoying the 2009 Paradisos Red Wine from my brother, Paul’s winery, Paradisos del Sol in Zillah, Washington. It retails for $28 per bottle but if you mention my blog you will get the $14 family rate. They deliver to Seattle too! Check them out at http://www.paradisosdelsol.com/ Cheers! 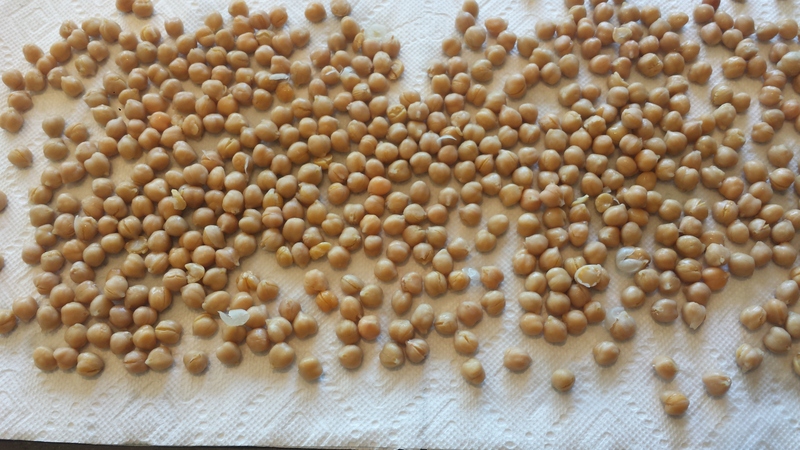 Rinse and dry garbanzo beans. You can either air dry them on paper towels or pat dry with additional papertowels. 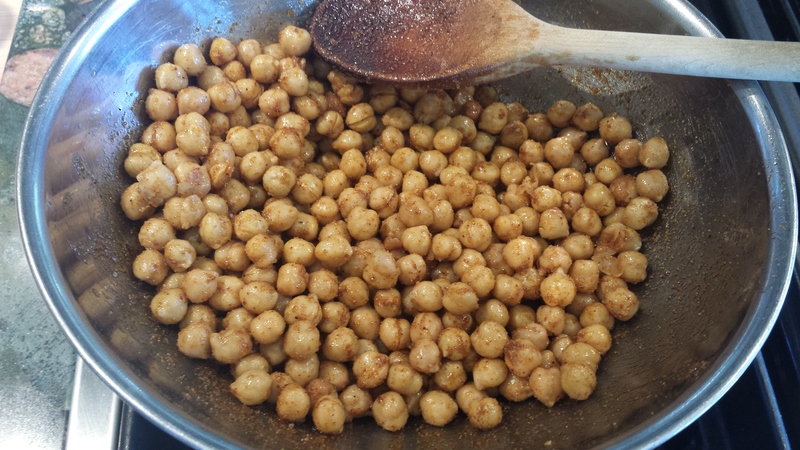 Add the chickpeas and toss to coat. Spread into a single layer on a baking sheet. 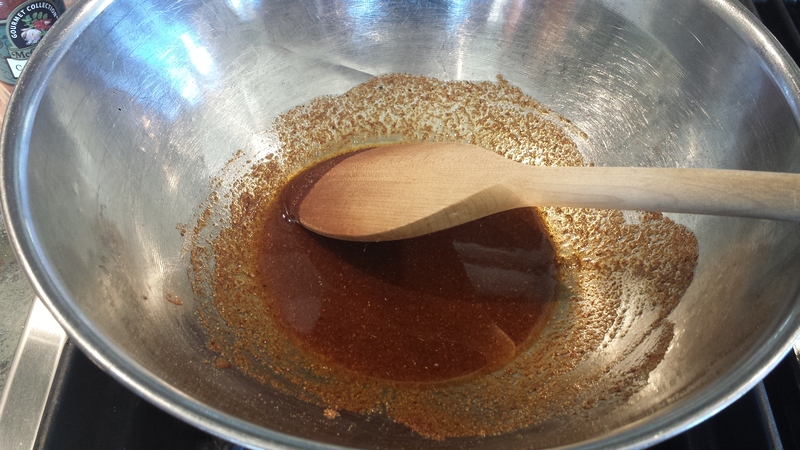 Shake the pan back and forth a bit to disperse them evenly. Roast, stirring occasionally, until nicely browned and slightly crispy, about 40 to 45 minutes or until desired crispness. They will continue to crisp a bit while cooling on the pan. 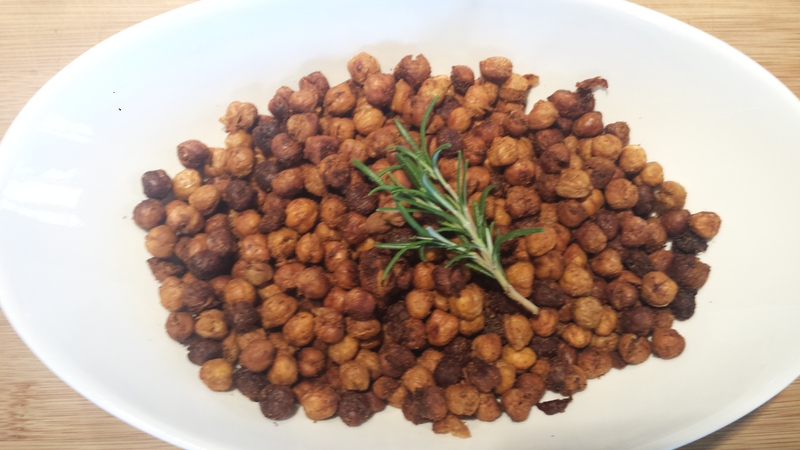 This entry was posted in All Recipes, Appetizers, Vegan, vegetarian, Wheatless Wednesday and tagged beans, Garbanzo beans, gluten free, healthy snacks, roasted chickpeas, roasted garbanzo beans, spicy roasted garbanzo beans, Vegan, vegetarian, Wheat Free. Bookmark the permalink. Joyce, Your site here is so much fun, so beautifully done! The writing, layouts, all of it!!! Nice going. Thanks Nancy. There is quite a learning curve but I’m having fun and staying busy. Looks so yummy! I’m going to have to try this one! Thanks, Joyce!